Contests - LOTS OF NEWS!! SEE BELOW!! ENTER OUR CONTESTS AND WIN PRIZES DIRECTLY FROM THE AUTHOR! Winning is easy. Like Stephonika’s Facebook page. She will be posting three different screenshots from Zelda games. Your job is to write a caption as to what the character might be thinking at that moment. You have three chances to win, but you can only win once. The most creative captions win! If Midna kept a diary, what would she say? Below are three different excerpts from the novel. Pick one these sections and picture it from Midna’s point of view. If she recorded her thoughts in a diary, what would she be thinking at these moments? To post your entry for the contest, go to the forum (under “Polls & Forum”) and post your entry as a reply to the “Midna’s Diary Contest” thread under Fan Literature. Be sure to specify which excerpt you based the entry on (1, 2 or 3). The most creative entries win. Number of winners will depend upon the number of entrants. His breath caught in grunts as tears glued his eyes shut and his brows furrowed. His chest pounded and the feeling pushed a deep, painful sigh from his taught lips. He faltered, his hands barely holding him up. The pain filtered from the nerves in his appendages to his very bones. A crackling within forced another stream of pained grunts from him, as he felt his legs breaking under an invisible pressure. His muscles involuntarily jerked this way and that trying to find some comfort. It was as if a boulder had suddenly landed on him and was slowly rolling over him, reshaping his body in a grotesque fashion. The throbbing continued and intensified at the feeling of his very jaw bones stretching and cracking. Unable to acknowledge what was happening and unable to bear the suffering any longer, he cried out in a raucous shriek and fell into stillness. The symbol upon his hand faded and was as if it had never marked him. Out of sight high upon a rocky ledge, a small imp looked on as he was dragged away by the creature that had first yanked him into the shadows…. "Link!" screeched Midna. She ran to him, regardless of Zant standing watch. Her mere presence at his side seemed to keep him conscious as he struggled to wrench the black crystal free of his body. But the more he seized at its mass the more it caved into his flesh. Blood trickled from the enlarging wound, and a line of red began to smear his lips. It seemed no use to try to free the mass from within him, and he relented, his strength escaping him. His body arched and twisted, echoes of his horrid shrieks reverberating louder and louder as they peeled from his mouth. "Mid-na...." he called desperately, the agony seizing him completely, hair morphing back into grey and black and white streaks. He lifted a hand, clutching her shoulder. Midna almost recoiled at his touch, for his hand was in mid-transformation, his fingers as thin as a wraith's and nails sharpening into claws. "Mid-"
His eyes clouded, darkened, and his hand slipped away, but Midna seized it. He fell into blackness when the crystal imbedded itself completely within his chest, his flesh mending itself. He was already unconscious before his mutilation was whole. Midna stared at him, disbelieving. Link wrapped his good arm around her, soothing her in a soft voice. "It's all right, Ilia." He looked out into the bright sky, leaning his head against hers. But it's not over. Midna, who had left his shadow secretly when he had entered the room, sat in the shadows cast by the firelight. She looked on as Link and Ilia exchanged words and embraces, watched on as Malo had tried peeking into the room and being quickly pulled away by another young hand. And a strange, sick feeling began to inflate within her. She could not explain the feeling, for she could not recall a day of her life in which she had previously felt so…. betrayed? Was that the word? If so, it was a different kind of betrayal, for she had known treachery all her life. Whatever the case, all she knew was that she was disgusted in seeing the scene before her eyes, and the sooner they moved on from Kakariko … the better she would feel. A signed, coloured version of early conceptual art for the Twilight Princess novel’s cover art. This will be an 8x10 matte print. Like Stephonika’s Facebook page. She will be posting 10 trivia questions. Answer at least 5 trivia questions correctly to have your name put in a drawing. If you answer any of the other questions correctly after that (6-10), your name will be added once more to the drawing for each correct answer. Thus, you have the chance to have your name added to the drawing a total of 6 times. You may only answer the question on the day it is posted! The more times you have your name in, the better your odds of winning. There will be one question per day posted at 10am EST. THE PRIZE: A 5x7 teaser booklet to Twilight Princess containing the prologue and first chapter, with illustrations, a back cover design exclusive to this booklet, and never-before-seen concept art for the cover of this unofficial novelization. Signed by Stephonika W. Kaye. Step 1: “Like” Stephonika’s Facebook Page. 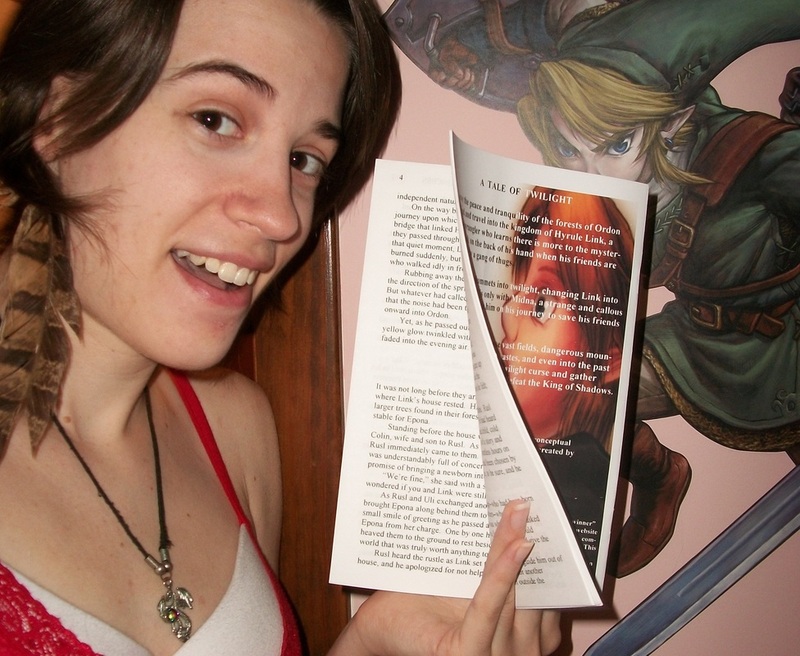 Step 2: Write a review/testimonial for the Twilight Princess novel in a note on your Facebook page. For this testimonial you should say (a) Why you like Twilight Princess (the game); (b) What attracted you to the novel and why you continue reading; (c) Why other fans would enjoy reading the novel; (d) Discuss five or more differences from the game to the novel that make the story better (or worse! but be constructive! ); (e) Highlight your favourite chapter and why it is your favourite; (f) Why/if you think the novel should be a licensed publication through Nintendo. Alternatively, you may record a vlog, hitting all the points above (“a” through “f”) and post the link to the video in a Facebook note. Step 3: Tag 10 to 20 friends who also love Zelda (or books! ), including Stephonika W. Kaye. The most well-thought responses will have the most potential to win, but the more likes and comments from your friends will help sway a win in your favor. This contest is about giving feedback and spreading the word to other fans and doing your part to enlarge TPN’s readership. So, spreading the word of your testimonial on your other online communities helps, too, if they visit your note and like/comment. After the winner is selected all fan testimonials will be posted to the novel’s site. Remember, only one fan will win the prize here, but when the novel is completed, there is the possibility for another round of contest testimonials. "Get over it, I'm playing Leon!" Stephonika is giving the opportunity to one lucky reader to play online with her after the release of the Resident Evil 6 Xbox game on October 2nd. She says that she would have liked to have played a Nintendo based game, given the circumstances, but "I think we'd have more fun on something like Xbox" she says. "I've played the demo of RE6 and Leon's seems like it'll be the funnest of the three campaigns, which is why I selected it, plus, I am a Leon lover. Great character. 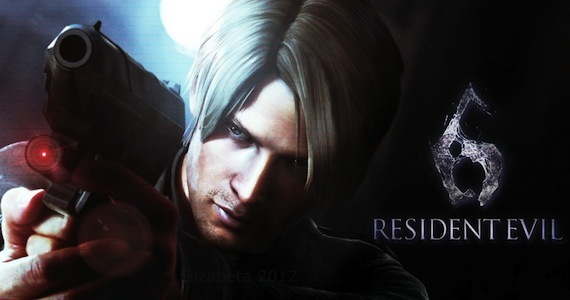 I don't have many co-op games besides REs and multiplayer-style games, so I thought RE6 would be a great choice, if you have the necessary tools to play with me and want to enter this contest. It's not Zelda, but we can definitely pass the time talking about Zelda if we like. I hope you guys are interested in this!" 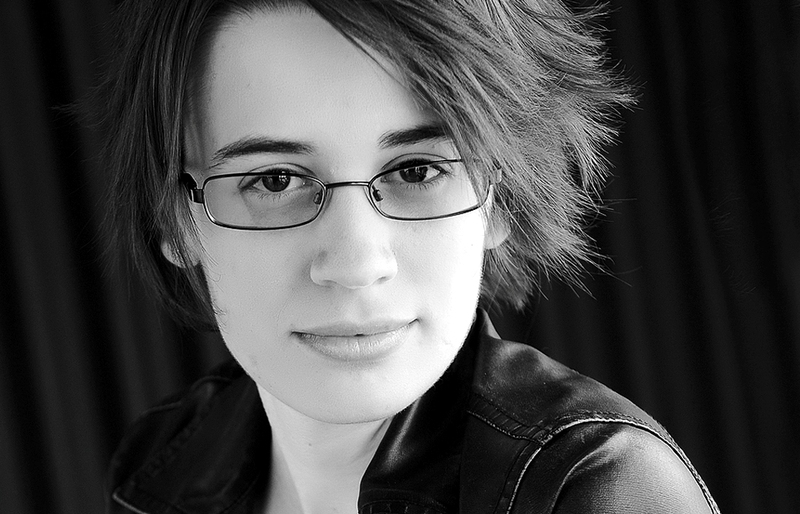 THE PRIZE: Play Cooperatively through Leon Kennedy's Resident Evil 6 campaign with author Stephonika W. Kaye. Round 1: "If Link had an Xbox gamertag, what would it be?" Round 2: "If Link met Leon from Resident Evil, what might they say to each other?" Round 3: Scenario: Link and Leon are walking along Raccoon City. A zombie comes out of nowhere to tackle Leon to the ground. At the same time a zombie with a chainsaw comes running toward Link. How does Link save the day? Unlike the trivia contest, you can answer these questions on any date during the run of the contest. The person with the best/most creative answers to all three questions will win the chance to play the Leon campaign to Resident Evil 6 online with Stephonika W. Kaye at an agreed upon date and time. So, the winner just might have further chances to play other games online with her since the winner will then have her gamertag.